The official site of the American College of Obstetricians and Gynecologists, the principal organization representing and setting national standards of care for our specialty. The world’s largest online community for Ob/Gyn medical professionals, pharmaceutical and medical device companies, and the women they serve, this site includes patient education materials and discussion forums on virtually every Ob/Gyn topic. This website is dedicated to helping women choose the best treatment options available for various conditions that affect the uterus, including abnormal uterine bleeding, endometriosis, fibroids, heavy periods and polyps. Minimally invasive surgery is an option all women should consider before committing to any gynecologic procedure. Here you will find the resources to help you learn and understand your options in order to make an informed decision. 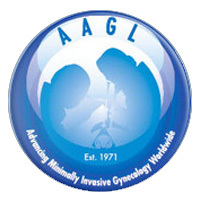 The American Institute of Minimally Invasive Surgery is the nation’s pre-eminent educator of advanced surgical techniques. The site offers patients information on minimally invasive procedures, where to find an AIMIS-certified doctor and more. This website is designed to help you recognize the warning signs of common gynecological conditions and explore your treatment options, including hysterectomy. A woman-to-woman support website for gynecological, medical and emotional issues related to hysterectomy. The official website of the InterNational Council on Infertility Dissemination, this comprehensive site provides information on topics related to infertility, adoption and parenting.